517 & 519 West 25 Street NY. 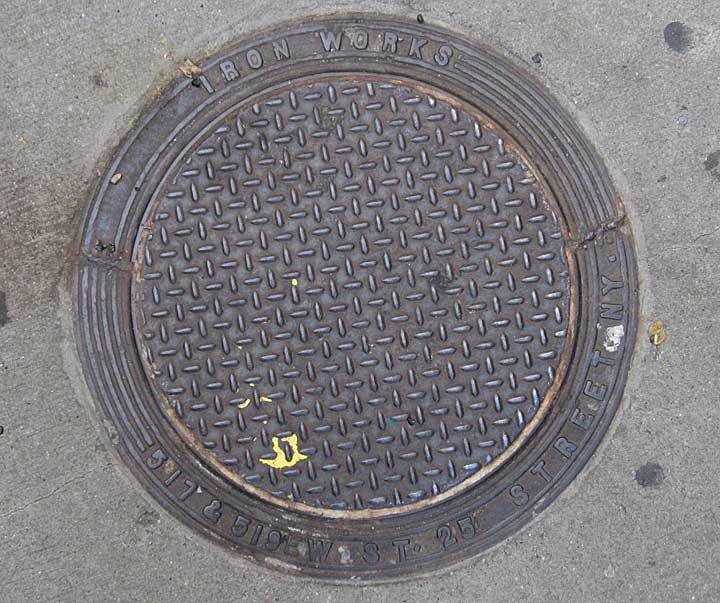 The rim to this coal chute cover does not name the iron works, but gives the address: 517-519 W. 25th St. This was the address of the Fulton Iron Works. For their history see the Fulton Iron Works foundry mark page. A peculiarity of the inscription on this rim is the displacement of the E in WEST. It is as if this letter floated out of the middle of its word, left a blank spot where it should have been, and moved to the front of the W! (Click for detail image.) How could this happen? Did somebody in the foundry make a mistake in the mold and not bother to correct it? And was the name of the foundry also omitted due to an error?